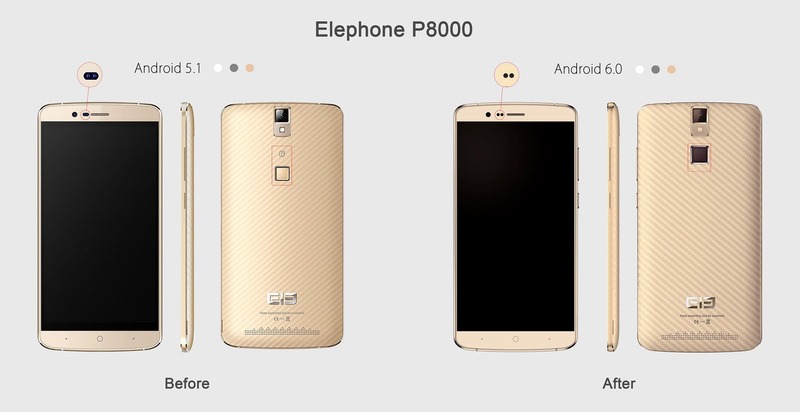 Elephone have announced that they plan to launch an updated version of the P8000, so what are the differences. Elephone’s P8000 proved to be quite popular last year, and it must still be a good seller as the company have kept it in production with a slightly updated version. The new Elephone P8000 will ship with Android 6.0 out of the box, and will see some physical changes to the rear plus an update to the fingerprint scanner. Compared to the original P8000, the new P8000 will have a slightly larger fingerprint scanner located higher up the back of the phone. The new sensor will also allow users to wake and unlock with a single touch. Elephone released the news of the new phone on their website, and also said they had plans to updated the original Elephone P8000 to Android 6.0 in May.